It’s time for another lesson of Coffee Break Chinese in which you can join teacher Crystal and learner Mark and learn Mandarin Chinese. In lesson 2, you’ll review what you covered in lesson 1, you’ll learn about greetings at different times of the day, and you’ll learn to introduce yourself and ask other people “what is your name?” in Chinese. You already know how to say where you come from and talk about your nationality, but what about where you live now? In this episode you’ll learn to say “I live in …” and you’ll also learn the names for some towns and cities in Chinese. In this episode you’ll learn the words for family members in Mandarin Chinese and you’ll learn to introduce them. There’s also more practice of what you’ve learned in previous lessons. 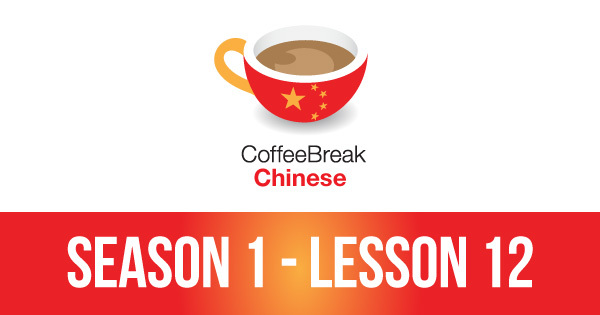 In this episode we’re continuing the theme of family members and also learning to count in Mandarin. We’ll focus on numbers from 0 to 99, and you’ll discover that once you know numbers 1-10, counting further is very easy. In this episode you’ll learn to use the correct Chinese expressions to ask for the price of something – and to understand the response. You’ll also learn how to ask where places in the town are and understand the words for “where”, “here” and “there”. 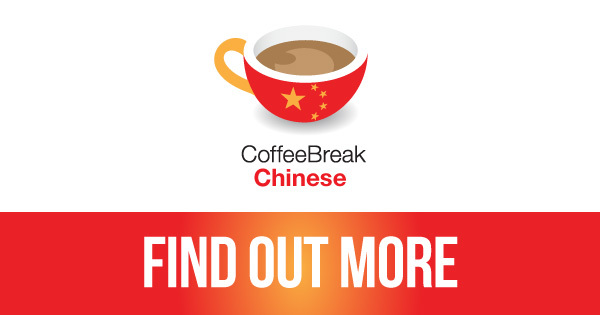 In this episode of Coffee Break Chinese you’ll learn to say that you can speak a little Chinese. You’ll also learn to talk about the other languages you speak, and to deal with language problems. By the end of the lesson you’ll be able to ask people to speak more slowly, to repeat, and to say that you don’t understand. In this lesson you’ll see how much you’ve learned in the first unit of the course. You’ll listen to a conversation in which Mark and Crystal play two characters who meet each other at a conference in Beijing university. You’ll be amazed at how much you understand, and there’s also some new vocabulary in this lesson too. 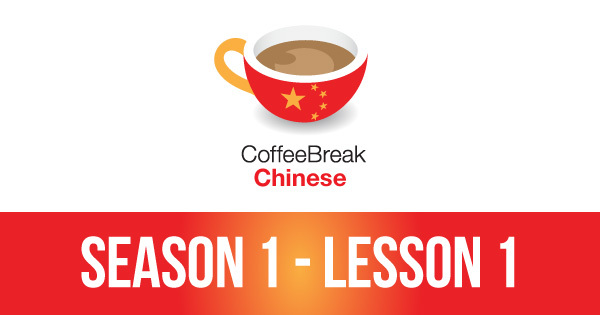 In this lesson you’ll put the language learned in previous lessons into practice with a restaurant dialogue and you’ll also learn to order beer and wine in Mandarin. You’ll need to be very careful when ordering báijiǔ which literally means something like “white wine”, but is definitely not the “white wine” you would expect! ​One of the great things about learning any language is the fact that you begin to see that many constructions can be reused in different contexts. With the help of some new vocabulary in this lesson for talking about hotel rooms, reservations and room keys, you’ll see that you can use the structures you’ve already learned in this new context. In this lesson we’ll be putting what we’ve previously learned about counting in Mandarin into practise by learning the days of the week, the months of the year, and how to tell the time. All of these topics are based around the numbers, so you’ll quickly learn this new vocabulary and how to put it to use. ​In this lesson of Coffee Break Chinese we’re looking at the topic of getting around the town. You’ll develop your range of vocabulary for asking for directions – and understanding the answers – and you’ll learn more vocabulary and structures to help you deal with public transport in China. In this lesson of Coffee Break Chinese you’ll be learning about train travel in China. You’ll learn to book your tickets in advance and request the particular type of ticket and seat you require. There’s also a cultural segment about travel in China.